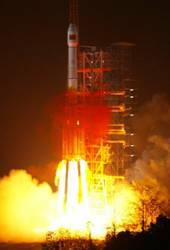 China’s Xinhua news agency has announced the launch a new-generation BeiDou satellite at 9:52 p.m. Beijing time yesterday (March 30, 2015). This is the first of five next-generation BeiDou spacecraft that China will launch this year, Jianyun Chen, a deputy director of the China Satellite Navigation Office (CSNO), told a Munich Satellite Navigation Summit last week. Launched from the Xichang Satellite Launch Center in the southwestern province of Sichuan, the geostationary satellite was boosted by a Long March-3C carrier rocket developed by the China Aerospace Science and Technology Corporation. The 17th satellite for the BeiDou Navigation Satellite System (BDS) marks the beginning of expanding the regional BDS to global coverage, according to Xinhua. Although China has not said which type of spacecraft was launched Monday, Spaceflight Now reported that the flight path taken by the Long March rocket indicates the satellite was destined for one of the BeiDou system’s inclined geosynchronous orbits. The latest satellite, located at 94.45 degrees E longitude, will test new Phase III BDS navigation signals and inter-satellite links, among other innovations. Xinhua reported that the new satellite was developed by the Shanghai Engineering Center for Microsatellites, a non-profit organization established by the Chinese Academy of Sciences and the Shanghai Municipal Government. 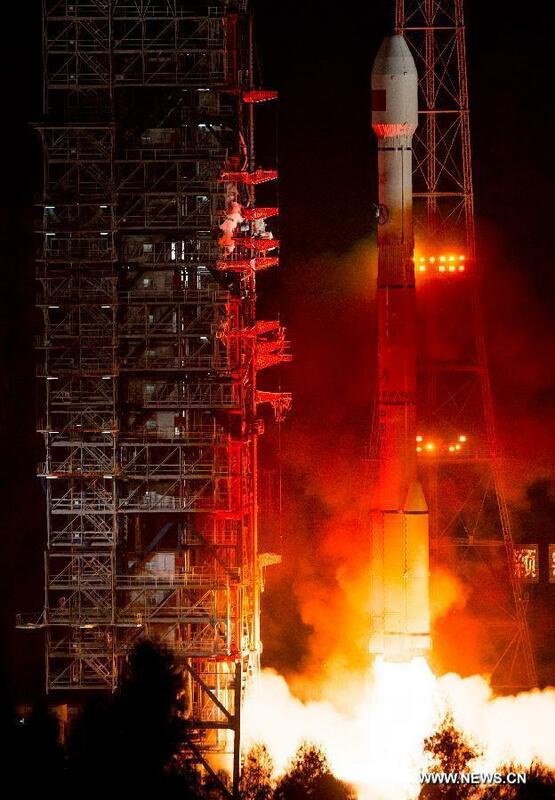 The BeiDou launch was the fourth such GNSS acheivement during the past week, following the March 25 GPS Block IIF satellite launch, a March 27 dual Galileo launch, and deployment on March 28 of a new Indian Regional Navigation Satellite System spacecraft.